Informations sur le produit "Spark Tesla 2nd Board Kit"
Set up multiple splitboards to be tour-ready with Tesla and Tesla T1 bindings. 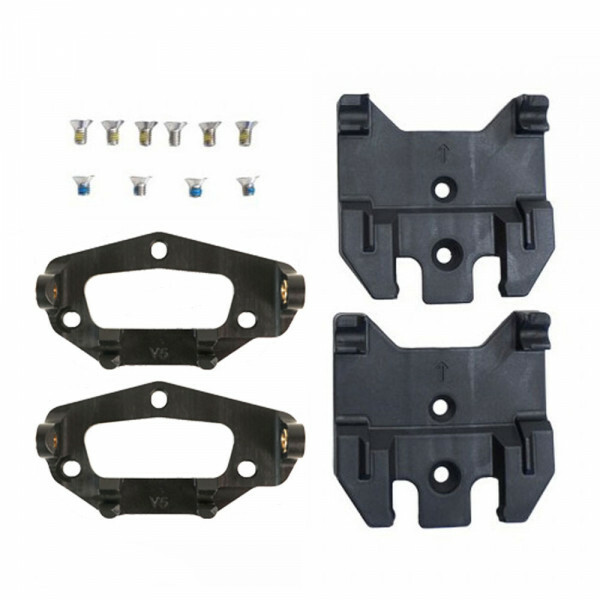 Comes with screws, universal Tesla touring brackets, and two different styles of heel rests to pick from depending on your one-wire or two-wire binding model (give the extra set to a friend in need!). Pair this up with Pucks and you’re ready to ride. Liens supplémentaires vers "Spark Tesla 2nd Board Kit"
Évaluations de clients pour "Spark Tesla 2nd Board Kit"